The Miskito Lounge Chair by Jonas Herman Pedersen for Skagerak was inspired by the craftsmanship, the aesthetics and the atmosphere of Central America and named after a Spanish dialect, which is spoken in the rain forests of Nicaragua. The design of the Lounge Chair is based on the clear Scandinavian tradition without any visible nails or fittings and the seat cushion is maintained by a small wooden stick behind the backrest. 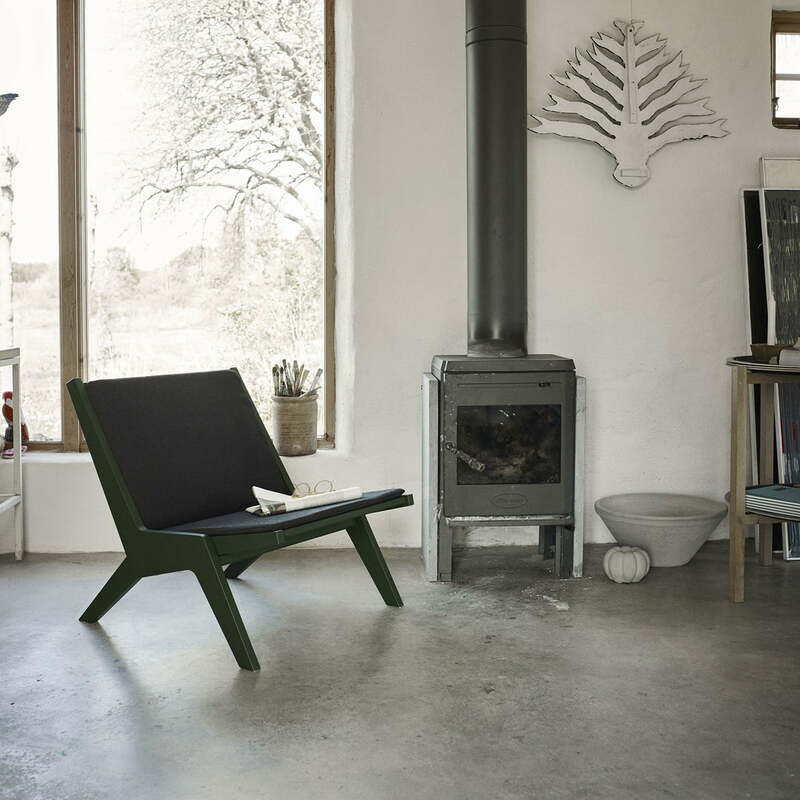 The Miskito Lounge Chair can be folded and is therefore very flexible. It can be easily stowed, whenever space is needed, and be brought outside quickly if the weather permits. The low seat height of the Miskito Lounge Chair and the wide seating surface convey a sense of rootedness. The frame of the Miskito Lounge Chair by Skagerak consists of ash wood and the cover of the upholstery is made of 100% wool. The Lounge Chair is available in different colors. 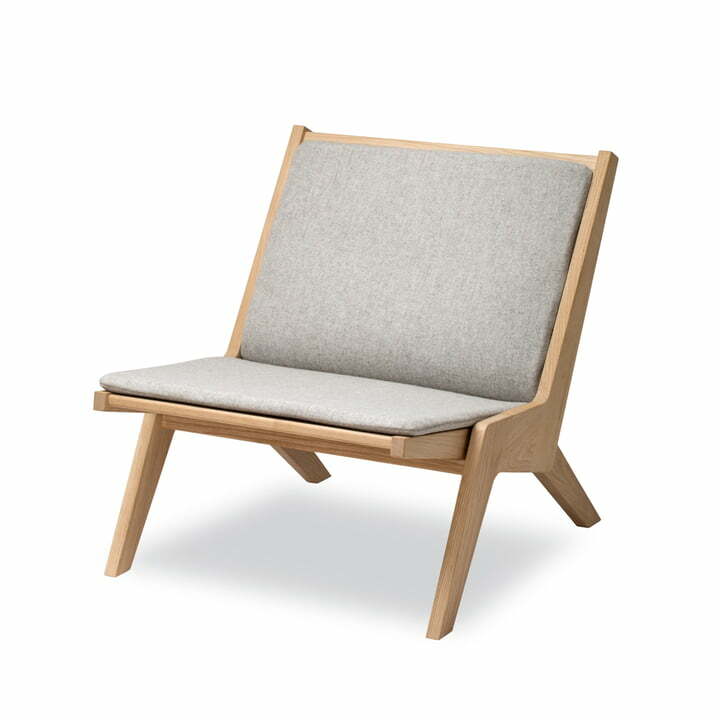 Isolated product image of the Skagerak - Miskito Lounge Chair in oak / light grey: The armchair was designed by Jonas Herman Pedersen and manufactured by Skagerak. 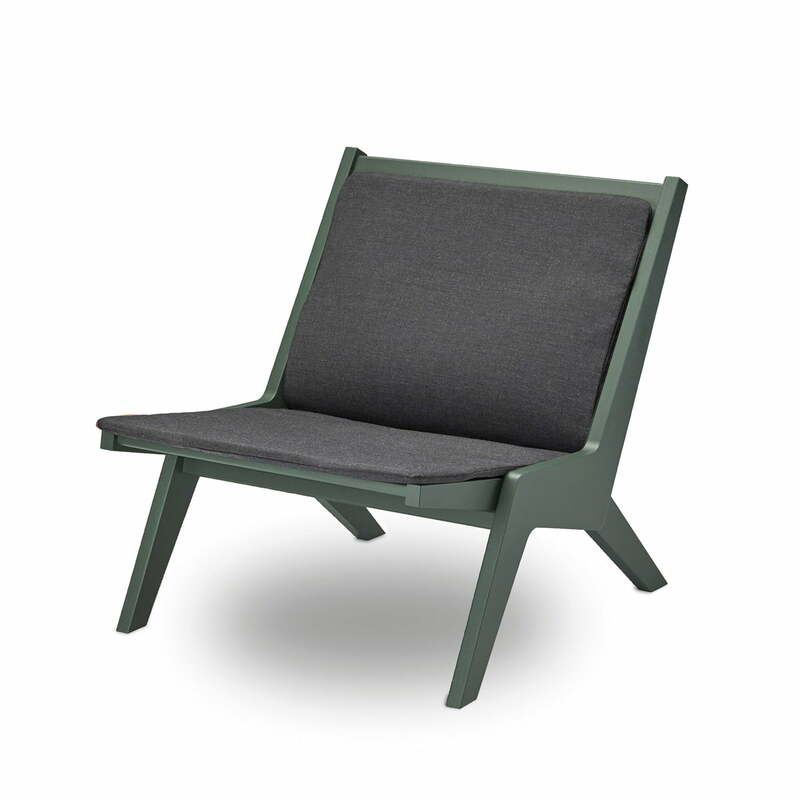 Single image of the Miskito Lounge Chair by Skagerak in the colour hunter green. 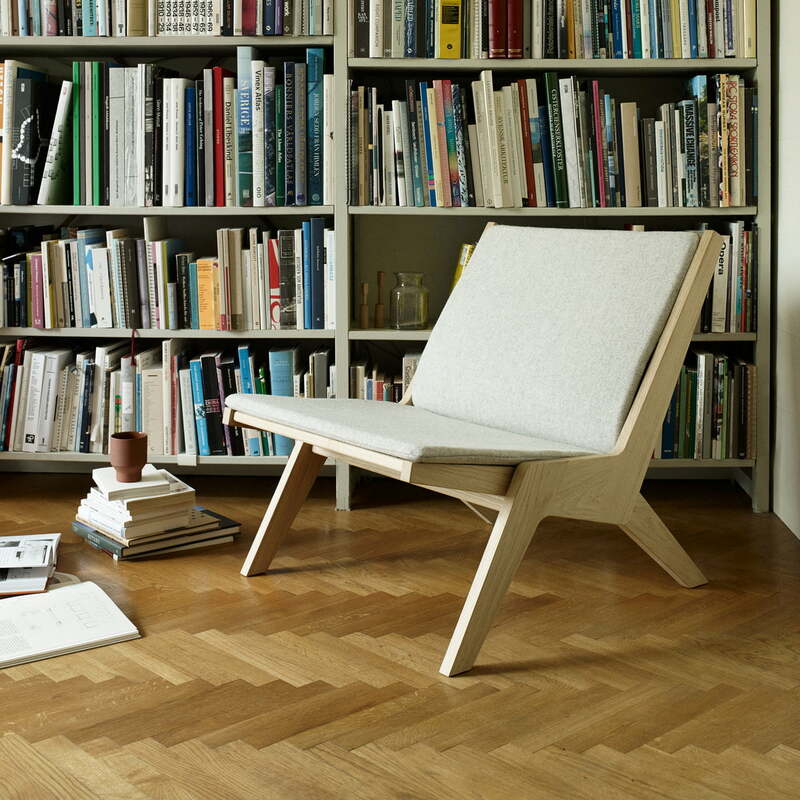 The chair is made of ash wood and the cover of the upholstery is made of 100% wool. 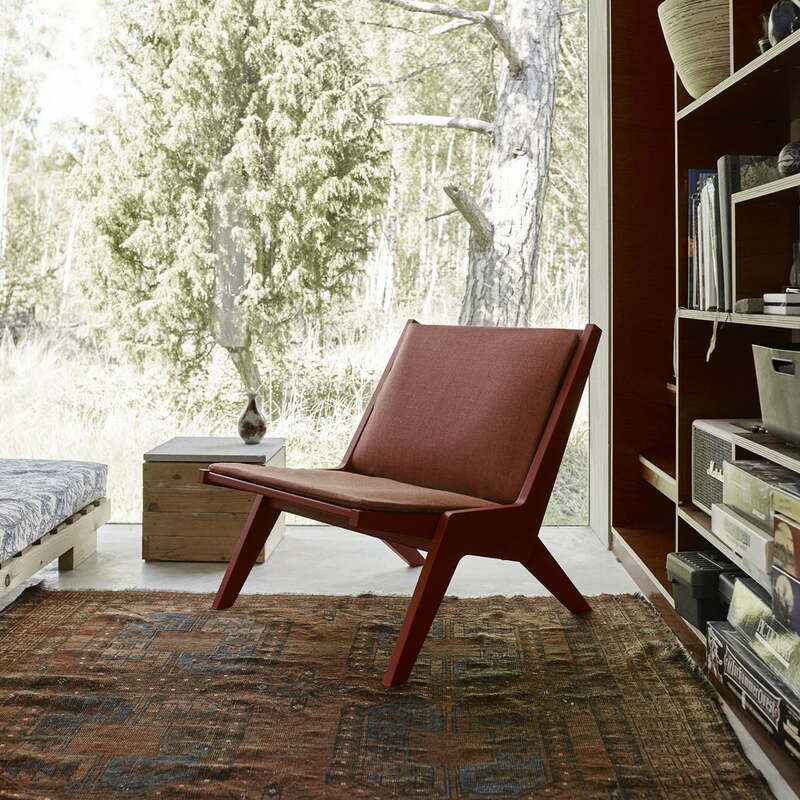 The Skagerak Miskito Lounge Chair can be folded and therefore, is very flexible. It can be easily stowed, whenever space is needed, and be brought outside quickly if the weather permits. 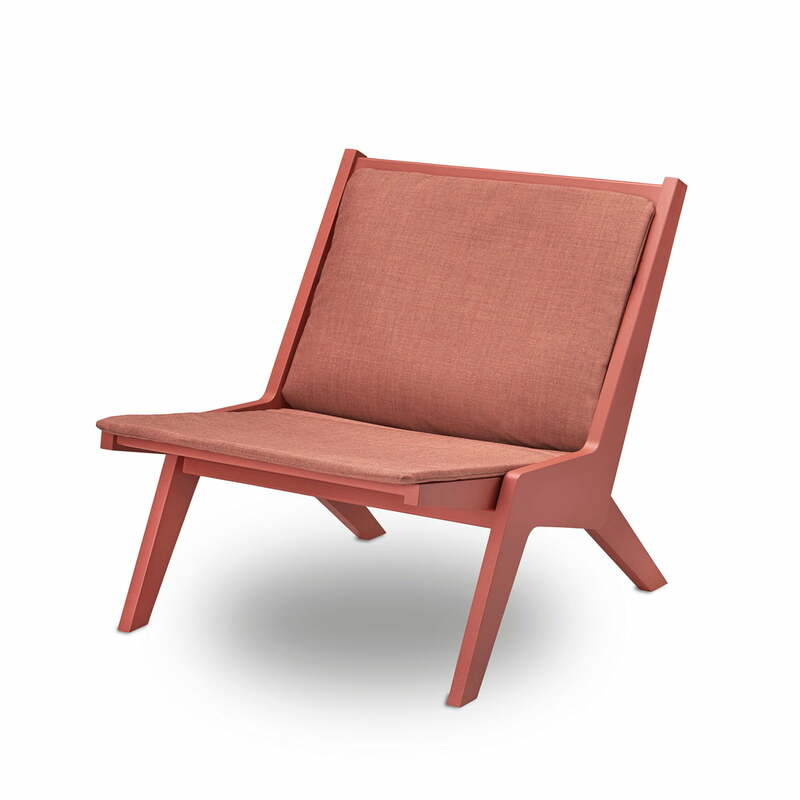 Lifestyle product image of the Miskito Lounge Chair by Skagerak in oak / light grey: The design of the chair is based on the clear Scandinavian tradition without visible nails or fittings and the seat cushion is held by a small wooden stick behind the backrest. 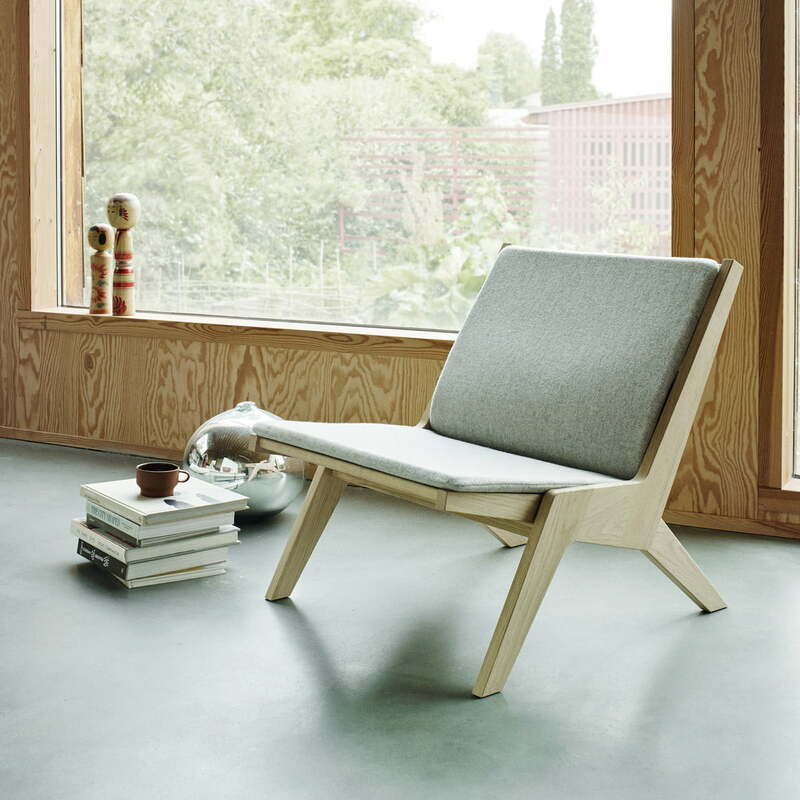 Lifestyle product image of the Miskito Lounge Chair by Skagerak in oak / light grey: As a reading armchair in front of the book case, the Lounge Chair comes into its own.